Gathering in small groups is one of the best ways to grow faith. ​and all welcome new, one-time, or part-time, participants. Pizza, Prayer and a Pint meets on the fourth Monday of every month in the restaurant part of the Cracker Barrel Pub on Main Street in Tariffville, CT. 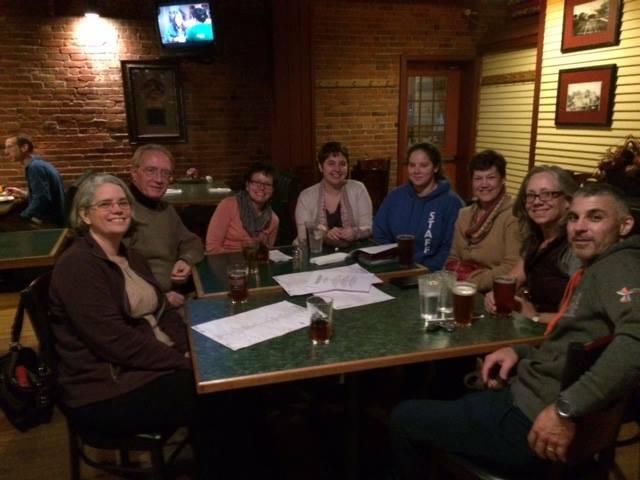 This group enjoys a meal, sometimes pizza, an age-appropriate beverage, and discussion. Topics vary from prayer to seeing God in current TV shows. The group welcomes anyone high school age and older who is looking for a discussion-based group. ﻿Join this group of women in the Trinity Library on Tuesdays at 10:00am as they study God’s word and draw closer in Jesus’ name. 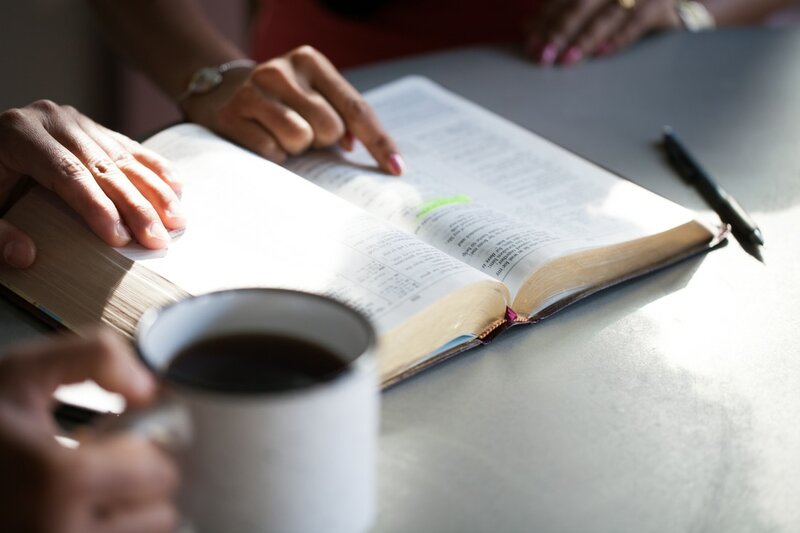 During each meeting there is a time to connect with each other, offer prayer requests and praise reports, as well as take an in-depth look at the passage for the week followed by discussion. The Men's Bible Study meets on Monday Nights from 7 - 8pm in the Library at Trinity Church. 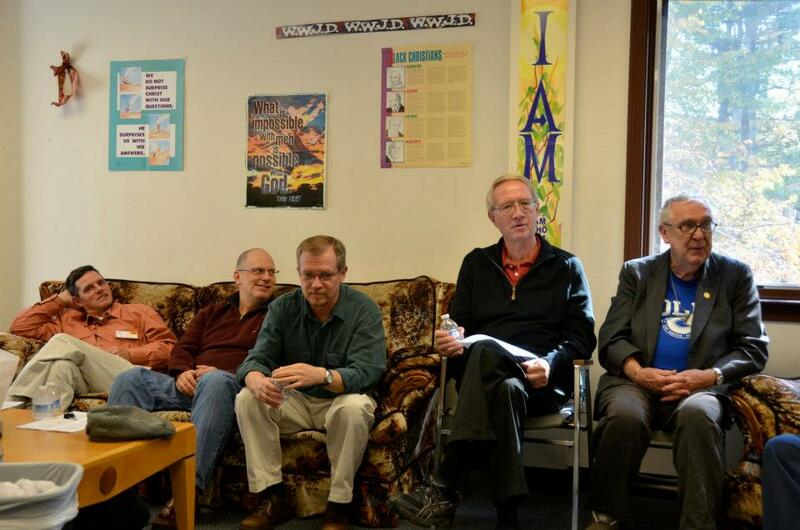 It's a welcoming group of men ranging from young adults to some who have experienced life to its fullest. They enjoy asking the hard questions and seeking each others' input. Meetings begin at 7 and end promptly at 8 pm. This group meets monthly to bake cookies to serve homeless in Hartford at Lunch in the Park, and for other special events. They pack gifts for children at Christmastime, and make Valentine cards for our college students.. The TCT Maker group gets together for activities and fun along with a bible lesson. ﻿The Men's Ministry is a group for men and boys that works to share and grow their faith and serve others. 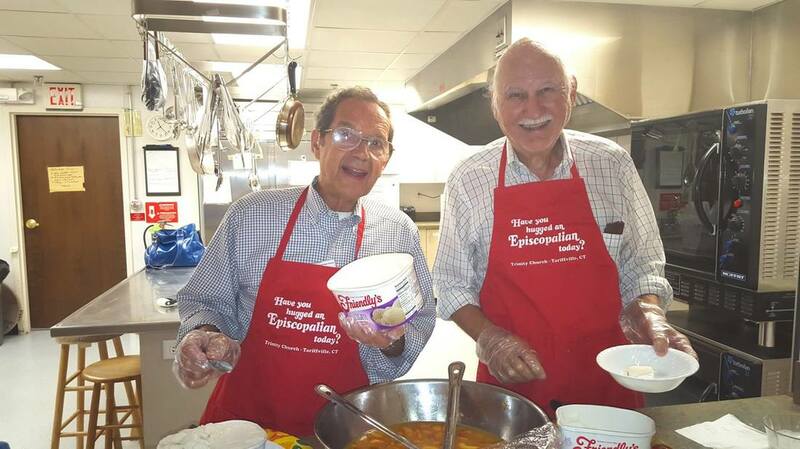 Trinity’s active Men's Ministry serves the parish our annual Shrove Tuesday Pancake Supper and at other fellowship events, organizes the annual men’s retreat, and more. Men and boys are invited to join this active group. Direct your questions about Men's Ministry here: lucascio1@yahoo.com. This Bible study meets on Thursday mornings in Avon and is open to all. Men and women who participate dig deeply into the Word of God through weekly homework, small group discussions, and a lecture. An excellent children’s program, for children ages infant – kindergarten is offered at the same time as the adult Bible Study Children are taught by caring and creative teachers using crafts, music, story-telling, and playtime. 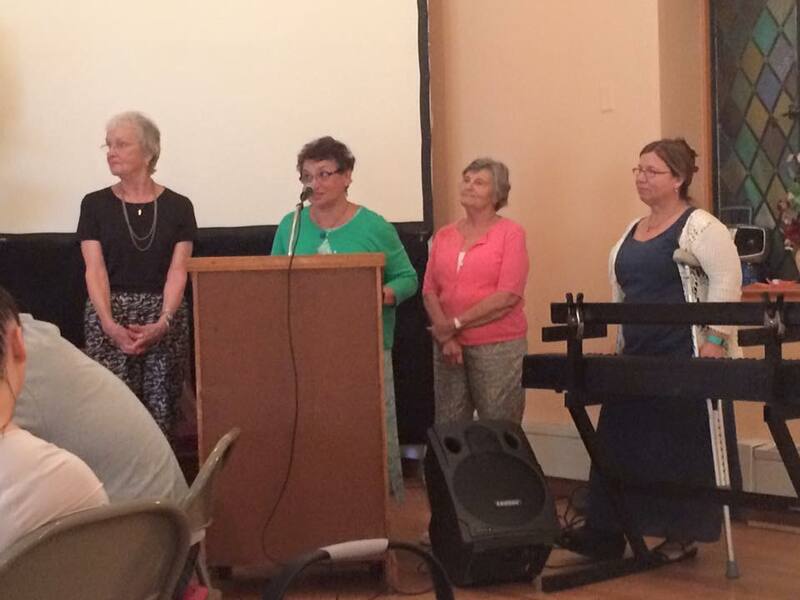 A number of Trinity members participate in Community Bible Study, some in leadership. This group of millennials meets monthly for fun activities, gaming, dinners, study, hanging out and other fun events. The Trinity Lending Library provides books and other materials (videos, tapes and cds) on a variety of topics important to matters of faith. You will also find copies of Trinity’s sermons in the library. Feel free to browse the shelves and check out materials. If you’re looking for an opportunity to volunteer, the Library could use your help organizing and shelving books, and selecting titles of interest to parishioners. Please contact Lucian (lucascio1@yahoo.com) or the church office if you are interested in helping. For more information on any of these groups contact the person listed or the Main Office.